The Pick family has been involved in the motor trade since the late 1940’s, after the end of the second world war. 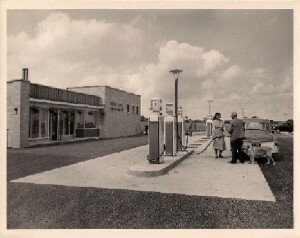 Percy Pick started his car sales and service business in the village of Old Sodbury, before moving and opening the very successful Roman Camps service station on the the busy A46 in the 1950’s, which at the time was the main north-south route through Gloucestershire. In the summer months, it was common for the garage to be open 24 hours and the attached cafe run by Joyce was a popular meeting place. 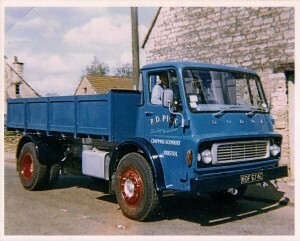 This was supplemented with the addition of tipper trucks and minibuses throughout the 1950’s and 60’s. A truck service centre and parts department was added in the early 70’s to support the haulage side of the business which was running around 15 tippers out of local quarries at the time. This was located in Quarry Road, where we are still based today. Pictured is a 1967 Dodge driven by Phil Buston. Colin derived the trade name Picksons from the haulage division P.D. 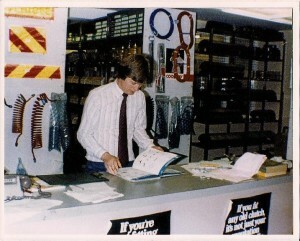 Pick & Sons and commenced trading on January 1st 1979. The haulage and maintenance side of the business stopped and by the early 1980’s Picksons had become solely a parts based business supplying local fleets such as R. & W. Febry & Sons, ARC, A Nichols Cow Mills and J E Clark amongst others. Now in its third generation and celebrating 35 years trading in 2014, the Pick family are still very much involved in the business, which now employs 60 people over 6 depots with exciting plans for the future.